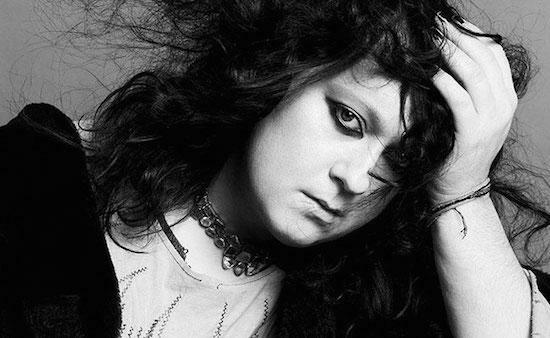 A new EP, entitled Paradise, by ANOHNI will be released in March as a companion to her 2016 album Hopelessness. You can listen to the title track below. Teaming up again with Oneohtrix Point Never and Hudson Mohawke on Paradise, ANOHNI "seeks to support activist conversations and disrupt assumptions about popular music through the collision of electronic sound and highly politicized lyrics," according to a statement announcing the release. The EP features six tracks and has been announced alongside an extended statement from ANOHNI herself which you can read below. It's out on March 17 via Rough Trade. "Our new leaders hope to crush our spirits and expedite ecocide in the name of virulent progress, consumerism and false security. Like Jihadis, many capitalists and Christians compulsively seek to facilitate a righteous "holy war", or apocalypse. "For millennia, Men have enslaved women and attempted to appropriate female creative power, re-casting themselves as gods and creators. This assault continues today in the forms of ruthless wealth and mineral extraction, genetic engineering, mass surveillance and war mongering. "But as Donald Trump and his cabinet now demonstrate, the skills encouraged in men by their biologies and the tools that boys master in the playground have not equipped them to deal with the unprecedented global crisis we are now facing. "Mothers, your sons are trapped in a nightmare; they are not capable of responsibly negotiating the destructive agency that they now wield. "More profound even than a crime against humanity, fathers and sons now compulsively prepare to commit ecocide, in a final and irreversible assault upon creation itself. "Only an intervention by women around the world, with their innate knowledge of interdependency, deep listening, empathy and self-sacrifice, could possibly alter our species' desperate course."